What’s for dinner tonight? 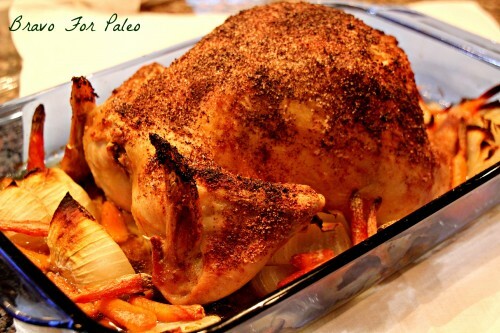 Oven roasted chicken! Looking for a dish that will impress? There is nothing like the smell of baked chicken in the oven! This oven roasted chicken is crispy on the outside and juicy in the inside. Looking for a dry rub to go on anything? Here’s a great All Purpose Dry Rub Recipe. What do I hate about food shopping? I hate that its so hard to find food without chemicals in it today. Even my darn vegetables and fruit can be covered in pesticides. What are some sneaky things in rubs? Well sugar of course, but many have way too much salt. Over-salting is unnecessary and can ruin a dish. Many dry rubs have anti-clumping agent; also unnecessary if you are cooking frequently. I love having dry rubs on hand so I can just sprinkle it on my dish. When you make this dry rub you’ll have enough for probably one-two chickens and a little extra. If you want to make more, just double the recipe, place in tupperware and save it! Make sure to label it, the worst thing to do is throw something in the pantry and forget what it is (my family has this problem occasionally!). I personally adore this dry rub on chicken. 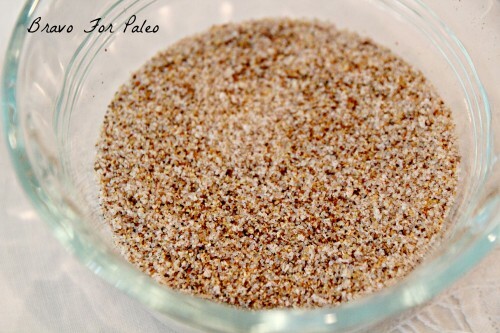 Instead of paying extra money to buy a pre-made dry rub, make one yourself! It’s as simple as adding the spices, stirring, and applying! YUM! Assembling Tip: If you find that your spices are chunky, mix all the spices in a bowl and then sift them. This will remove chunks! This article may be heavy in terminology, but the more you understand about how your body works, the easier it will be for you to treat your body properly. If you are health conscious or even if you aren’t, everyone knows that people today obsess over CALORIES! How many calories are in that?… I can’t eat those, WAY too many calories… I think I may have eaten too much today, definitely need to go burn off those calories… I love this meal; it’s only 200 calories! These are a few phrases I hear way too often. But what many people don’t realize is that calories are not created equal. 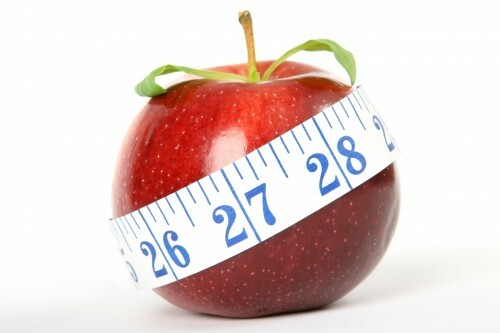 With this calorie-obsessed society, people begin to count calories whether it is from fruits and vegetables or from processed foods, and forget to realize our bodies process those foods in totally different fashions. Okay… but I need to lose weight? So I have to count calories? After all the mantra is calories in, calories out. No, no, no. Our bodies weren’t designed for us to have an app recording every calorie we eat. It’s so unnatural and unnecessary. Our bodies were actually evolved with mechanisms to tell our brains when we are hungry and when we are satiated. But remember this evolution occurred when we were hunters and gatherers, when there were no refined sugars and carbohydrates. Our bodies have this natural hormone called leptin, which goes from fat cells to the brain and tells you that you are satiated. So what does that mean? It means everyone should be producing leptin from their fat cells, telling the body You’re full, you have enough energy, stop eating. But this isn’t happening, obviously, because obesity is becoming a national epidemic. Enter insulin. When you consume a high carbohydrate meal, blood sugar goes up, and insulin is released to store the sugar as fat. Insulin actually blocks leptin’s receptors in the brain, thus reversing the message of leptin, which is I’m full, stop eating! So imagine this scenario- Here’s a person trying to lose weight. This person’s fat cells secrete leptin, which try to tell the brain You’re full. But the person had cereal, toast, and orange juice this morning (a high carbohydrate meal, could even be low-cal). Blood sugar goes up, insulin is secreted, fat is stored, and leptin’s receptors in the brain are blocked. So… while this person was trying to lose weight by eating low-cal, instead he/she just stored some extra fat because the insulin did it’s job (converting sugar to fat stores). He/she will be hungry in a couple of hours due to a blood sugar crash. So here’s our diet-obsessed society trying to lose some weight by lowering calories and still eating high carbs, but hormonally our bodies aren’t going to like it. Maybe you’ve gone on a calorie-restricted diet before and have felt that you were tired, mean, and still hungry. If we just eat right, our bodies’ cues will work and we won’t overeat. Your body wants to be fed, not starved, and it wants to be fed food that we were adapted to eat. Instead of focusing on calories, focus on nutrition and the rest will follow.